Illinois currently has six waivers that are open to children. All are HCBS 1915(c) Medicaid waivers. Three of these programs waive parental income; three do not. View Illinois' HCBS waiver page. 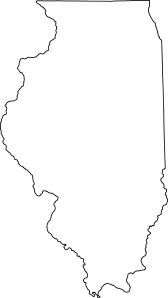 Illinois also has several adult-only waivers, including Supportive Living Program, Waiver for Adults with DD, and HCBS Waiver for Persons Who are Elderly. Target Population: Children who are technology dependent and medically fragile. Most children have a trach, vent, or central line. Description from medicaid.gov: Provides respite, specialized medical equipment and supplies, certified nursing assistant (CNA), environmental accessibility adaptations, family training, in-home shift nursing, nurse training, placement maintenance counseling services for individuals who are medically fragile and technology dependent, all ages. How to Apply: Go to Specialized Care for Children to determine your local office. Contact your local office to submit an application. Target Population: Children with developmental disabilities, intellectual disabilities, or autism. Description from medicaid.gov: Provides information and assistance in support of participant direction, adaptive equipment, assistive technology, behavior intervention and treatment, home accessibility modifications, personal support, temporary assistance, training and counseling services for unpaid caregivers, and vehicle modifications for individuals with autism, IID, DD ages 3-21. How to Apply: Call the helpline at 1-888-DD-PLANS or 1-866-376-8446 (TTY) or find your DHS Developmental Disability office. Call the office to submit an application and be placed on the waiting list. Waiting List: Yes, through PUNS. As of 10/18, there were 16696 children ages 0-22 with developmental disabilities on the waiting list. Target Population: Children with developmental disabilities, intellectual disabilities, or autism who require out-of-home placement. Description from medicaid.gov: Provides child group home, adaptive equipment, assistive technology, behavior intervention and treatment for individuals with autism, DD, IID ages 3-21. Target Population: Persons with brain injury. Description from medicaid.gov: Provides adult day care, day habilitation, homemaker, personal assistant, prevocational services, respite, supported employment, home health aide, intermittent nursing, occupational therapist, physical therapist, speech therapist, cognitive behavioral therapies, environmental accessibility adaptations, home delivered meals, in-home shift nursing, personal emergency response systems, specialized medical equipment for individuals with brain injury, all ages. How to Apply: This waiver is part of the Home Services Program. First apply for Medicaid, and then apply for the waiver through DHS/DRS. Call 1-800-843-6154 (#3 on menu) or 1-800-447-6404 (TTY) or contact Rehabilitation Services. Description from medicaid.gov: Provides adult day care, homemaker, personal assistant, respite, home health aide, intermittent nursing, OT, PT, speech therapy, environmental accessibility adaptations, home delivered meals, in-home shift nursing, PERS, and specialized medical equipment for individuals with HIV/AIDS of all ages. How to Apply: This waiver is part of the Home Services Program. First apply for Medicaid, and then apply for the waiver through DHS/DRS. Contact DRS Statewide HIV/AIDS Unit at 708-857-2378; call 1-800-843-6154 (#3 on menu) or 1-800-447-6404 (TTY), or contact Rehabilitation Services. Description from medicaid.gov: Provides adult day care, homemaker, individual provider (personal assistant - non agency), respite, home health aide, occupational therapy, physical therapy, speech therapy, environmental accessibility adaptations, home delivered meals, in-home shift nursing, intermittent nursing, personal emergency response system, and specialized medical equipment for physically disabled individuals, ages 0 – 59. How to Apply: This waiver is part of the Home Services Program. First apply for Medicaid, and then apply for the waiver through DHS/DRS. Call 1-800-843-6154 (#3 on menu) or 1-800-447-6404 (TTY), or contact Rehabilitation Services.